I cannot believe Valentine’s Day is already this week, gah! How do all these holidays always come up so fast?! 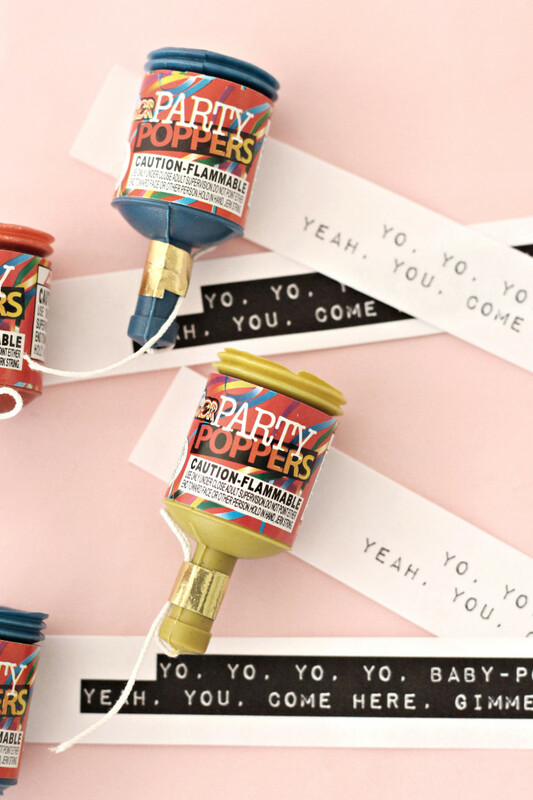 If, for some unimaginable reason, party poppers aren’t your thing (ok, I understand if a teacher may not appreciate these being given out in class…) then there are so many other ideas you could do! 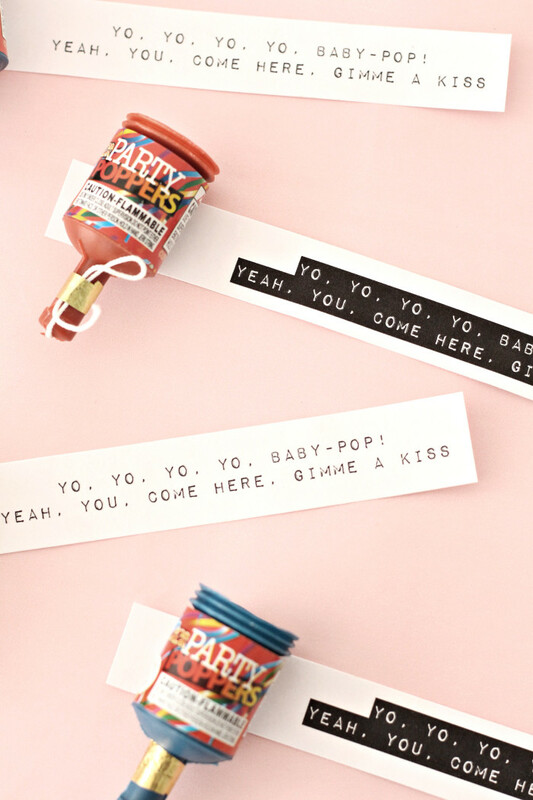 Baby bottle pops would be perfect, Hersey’s kisses, candy or wax lips, lip stickers, suckers (pops! ), ETC! 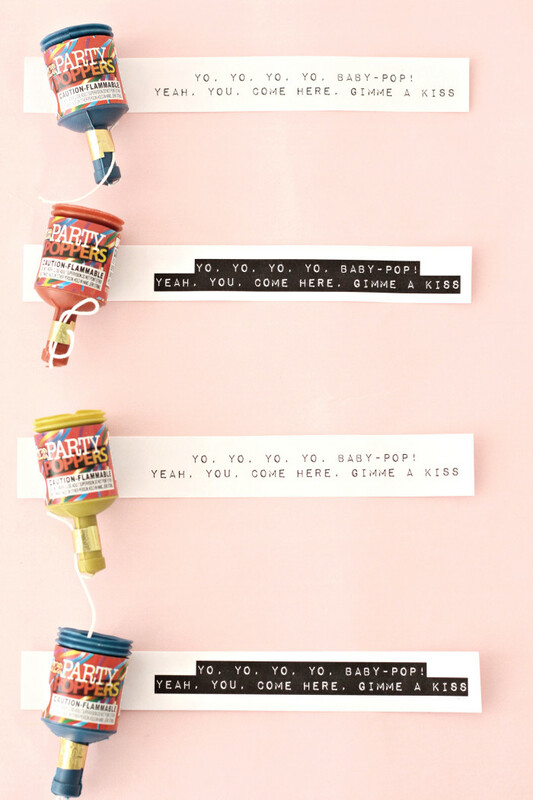 So click through to get the free printable available at the end of the post! 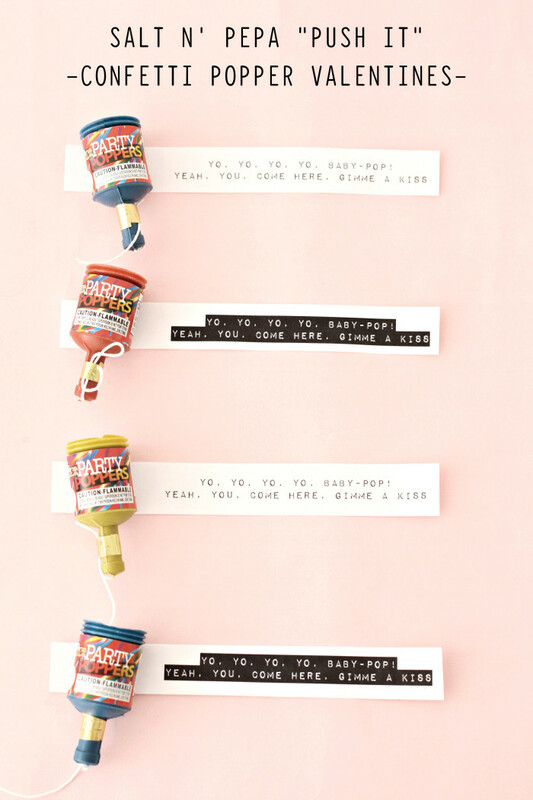 Just print out the free printable (at the end of post) , slice them between each repetition and then place a circle of tape on the end and stick a popper to it! 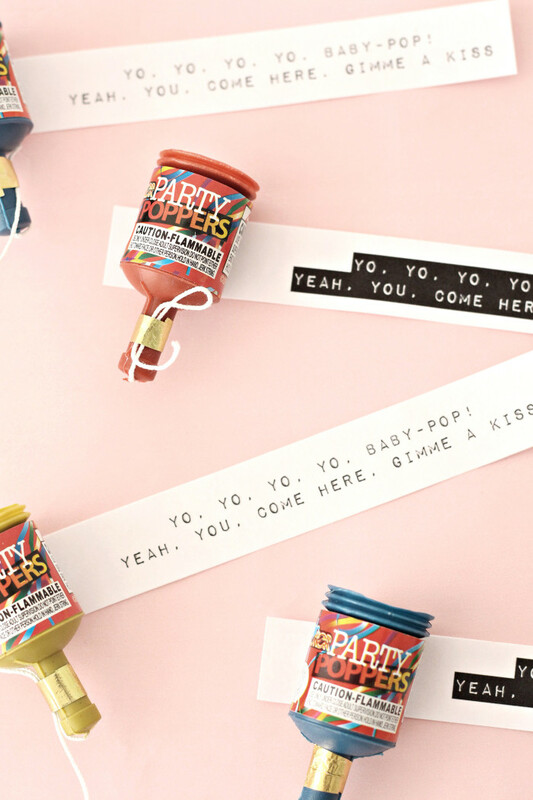 These are pretty gosh darn awesome. What a great idea!